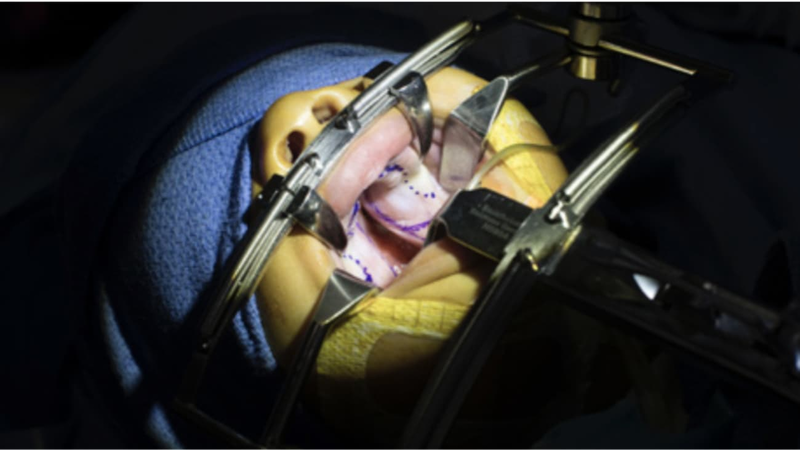 A patient undergoing cleft palate surgery. Subsequent surgeries to optimize the child’s development in breathing, hearing, speech and language may be required. These procedures are offered by three surgeons within the MUSC Children’s Health Craniofacial Anomalies and Cleft Lip and Cleft Palate pro- gram: Krishna G. Patel, M.D., Ph.D., specializes in pediatric facial plastic and reconstructive surgery; Christopher M. Discolo, M.D., specializes in pediatric head and neck surgery; and Jason P. Ulm, M.D., specializes in craniofacial and aesthetic surgery. Together, these surgeons perform an average of 50 new CP and CL repairs every year and hundreds more follow-up surgeries in adults as well as children. short. The most common repair technique, rotation advancement, addresses the foreshortened cleft lip length by first rotating the cleft- sided lip down and then advancing the edges of the cleft together. Oronasal fistula (ONF) is a common complication following CP surgery, occurring in 4 to 35 percent of cases.2 The two main ONF symptoms are nasal regurgitation and speech problems, such as hypernasality. ONF develops primarily because of repair under tension and, in some cases, postoperative infection, especially in adults. The cleft team at MUSC Children’s Health comprises not only specialty and subspecialty trained surgeons, including pediatricians, orthodontists, pediatric dentists, otolaryngologists, oral and maxillofacial surgeons, but also speech-language pathologists, audiologists, genetic counselors, nurse coordinators and social workers. Comprehensive, coordinated care ensures that patients receive their care at the correct time, which lessens their need for future surgeries. Watch a video of surgical footage narrated by Dr. Patel, visit the Pediatrics page of the MUSC Health Medical Video Center. Parker SE, et al. Birth Defects Research (Part A): Clinical and Molecular Teratology 2010;88:1008-1016. Cohen SR, et al.Plast Reconstr Surg. 1991;87:1041–1047. 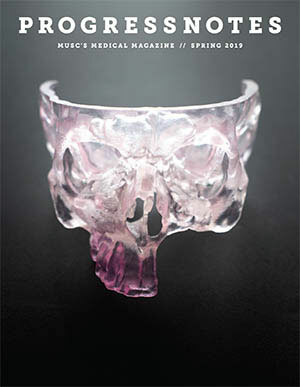 Bykowski MR, et al.. Cleft Palate Craniofac J. 2015 Jul;52(4):e81-87.